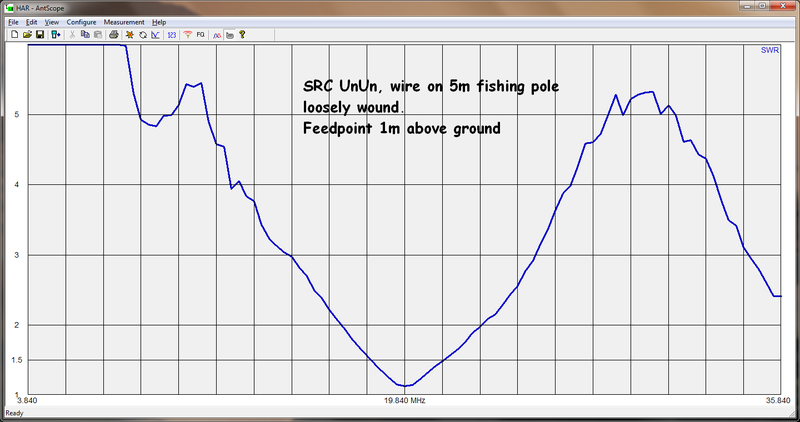 SWR plot of Snowdonia Radio Company 9:1 UnUn, with about 7.5m of wire on a 5m fishing pole. The wire was coiled loosely round the bottom half of the pole to fit the extra length. 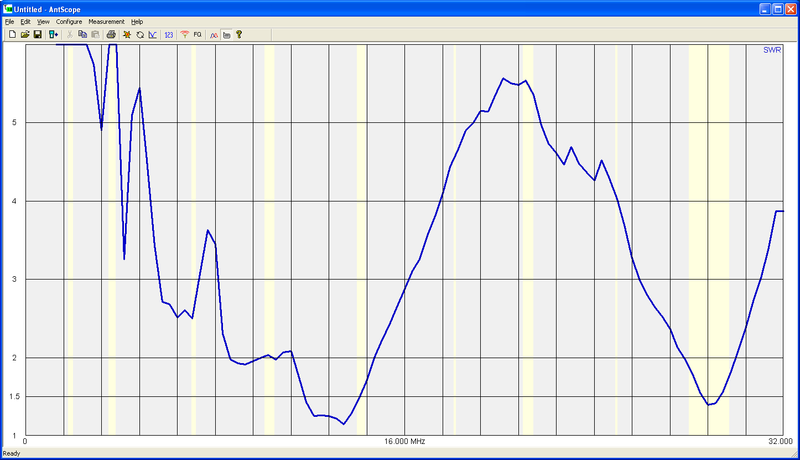 Fed with about 5m of RG58 coax, and no earth (except for grounding through radio power cable to car body). 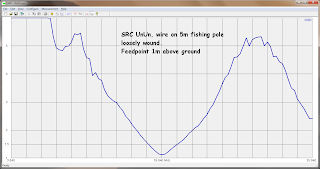 The basic SWR curve looks the same but there are some other resonant frequencies below 14 MHz where the SWR is not so bad. This might be because the wire is going across the back yard, close to buildings and telephone wires (also radiation from the coax). I shouldn't really be able to operate on 3.5 and 7 MHz with it but it works OK with a tuner. Do "magic" short antennas like transformer fed wires/verticals just couple into other wiring when used at home? Rooted my HTC Hero Android phone (Universal Androot) so the time can be synchronised with an NTP server. It's now accurate enough to be used as a WSPR beacon. 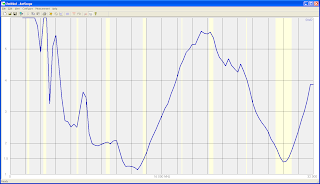 Set up an alarm clock to play a recording of the correct WSPR tones at a certain time. Even if I'm away from network coverage, the time stays within a second as long as I've synced it in the last day. Better than my new Samsung N150 netbook, which always says the clock is 5 seconds off when synchronising over NTP, but then sets the clock with a 5 second error.